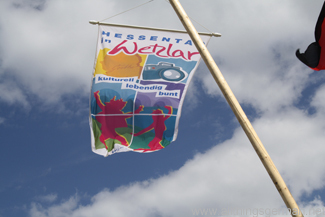 Last year the Hessentag in Oberursel took up quite a bit of the town’s resources and also was covered quite extensively on this blog. Today the day arrived when one of the key questions after the event was answered: “how much did it all cost?”, or to be more precise – how big was the loss that the town’s finances have been left with. The original budget was for a loss of 3½ million Euro. In the end, it turned out to be 4½ million. An addition €836,000 were spent by the town’s own service department (BSO) and €503,000 on personnel costs. However these are not included in the deficit as to a certain extent they would have been spent anyway on the normal day-to-day running of services in the town. 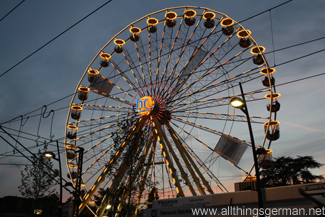 The Hessentag finished a month ago today, and yet the official events are not quite over. In the end, around 1.4 million people came to Oberursel to visit the Hessentag, breaking the previous record with the procession on the last day alone having almost 4,000 participants. 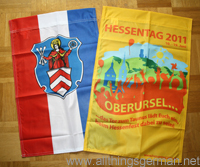 Next week (25th-29th July) the remaining merchandise will be sold off in the foyer of the Rathaus. And then… something typically German happens. A by-law called the Hessische Gemeindeordnung (HGO) contains a paragraph (§ 8a) which calls for something called a Bürgerversammlung – a citizen’s meeting. Such a meeting is taking place in the Stadthalle in Oberursel on Monday, 8th August, 2011 at 7pm. Both supporters and critics of the Hessentag will be given the chance to put forward their opinions of the event, although I hope they do listen to the critics more than they did at the last information evening that I attended in December 2010.